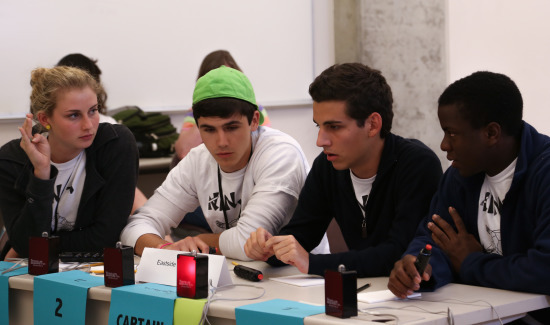 ST. PETERSBURG, FL – Florida high school teams from the Panhandle to the Everglades will gather Saturday, February 16, 2019 to compete in the 15th Annual Spoonbill Ocean Sciences Bowl competition. These amazing students will participate in a tournament competition filled with rapid fire questions and quick response answers about the ocean to determine who will hail as the Ocean Science Champions of Florida’s west coast region. The winning team will then go to DC for the National Finals. Each year more than 60 volunteers officiate the competition and encourage students in their pursuit of ocean-related careers. Volunteers join us from the USF College of Marine Science, Eckerd College, New College, Fish and Wildlife Commission, United States Geological Society, NOAA Fisheries, and USFSP.